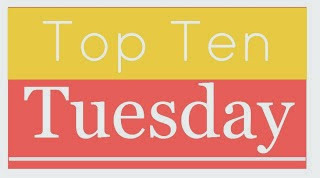 We've talked favorite childhood books and the ones you WISH you read as a kid a while ago on Top Ten Tuesday so we figured it was high time to talk about the ones we would want to revisit. 1. 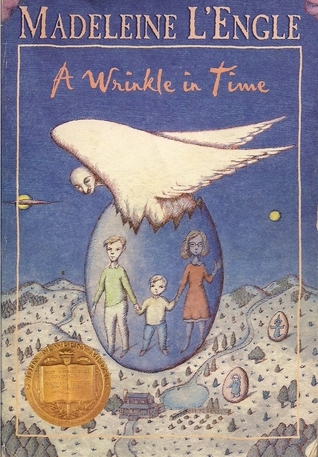 A Wrinkle in Time by Madeleine L'Engle and the rest of the Time Quartet. Every once in a while I feel the urge to reread this classic, beloved by me and many other readers out there. I feel like I gain something new each time, and it's like catching up with an old friend. 2. The Sammy Keyes series by Wendelin van Draanen. I started reading this series in 6th grade, and I still love it. It has been a while since I read one of them, though, and it might be time for me to pick up where I left off. 3. 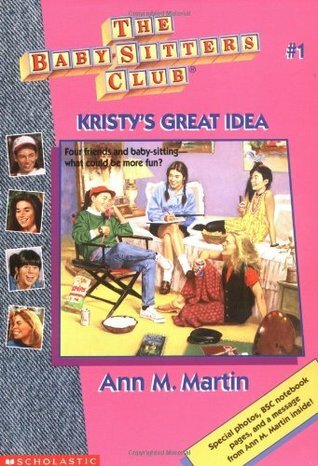 The Baby-Sitters Club series by Ann M. Martin (and various ghostwriters). I loved these books growing up; I actually read them well into high school as a break from the drudgery of school when I needed something mindless and easy. If I could find my old collection I'd totally read them again. 4. Nancy Drew!! I used to read the crap out of these—and my love of them was actually inspired by Claudia Kishi's collection in The Baby-Sitters Club. I would read these too if I could find them; I don't know what happened to my collection, unfortunately, but I had a whole bunch of them! 5. 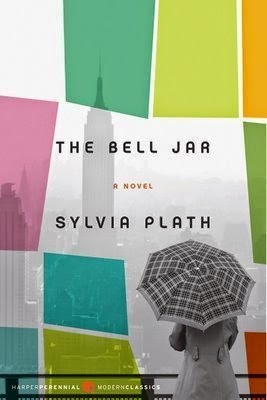 The Bell Jar by Sylvia Plath: I read this book my senior year and I'd love to revisit it. It was the kind of book I read at the right time and it saved me. 6. 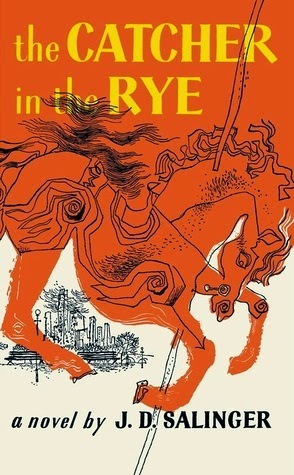 Catcher in the Rye by JD Salinger: I LOVED THIS BOOK AS A TEEN. I want to know what adult Jamie would think. I also want to reread Franny and Zooey but that was a college read so technically doesn't fit! 7. The Boxcar Children series: I LOVED THESE BOOKS. SO MUCH. 8. 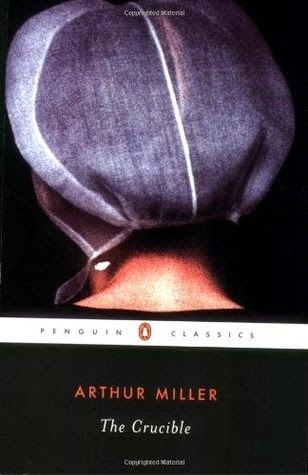 The Crucible by Arthur Miller: I remember loving this in high school and I wonder if it was the book or the amazing English teacher I had. 9. 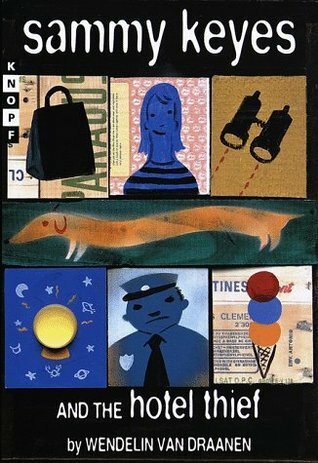 Blubber by Judy Blume: I loved all Judy Blume's books but I remember this was the first one I ever read. 10. Sweet Valley High books: I LOVED THIS SERIES. I read it as a pre-teen and wanted to live in those books. Tell us YOUR favorite childhood faves that you would love to revisit! The Crucible! Such a great choice! It's one of my favorites. Great list!! I love them! They are funny, but you might want to vet the later ones for a 7-year-old; she gets into some pretty nasty situations, like drug dens. I think everyone will pick A WRINKLE IN TIME, but for me, it was all about A RING OF ENDLESS LIGHT and her books about the Austin family! But especially that one because it had dolphins and some romance! Oh, and yep, BSC and Boxcar Children, yep, yep! I love that Jamie chose books from when she was a little older. I debated mixing in teen stuff, but really wanted to focus on kid books! I can't wait to see what we all have in common across the blogosphere today! Yes! I loved A Ring of Endless Light too, but my favorite from that group was Troubling a Star. Murder and mystery in the Antarctic! I left the Baby Sitter's Club off my list! Though I wasn't as obsessed with those as I was Pony Pals and the Saddle Club. In that same sort of genre, I also loved Baby Sitter Little Sister and Sweet Valley Kids! We have a lot of the same ones on our lists! I totally forgot about The Boxcar Children. I loved those! I love the Crucible! Great pick! A few months ago, I revisited The Secret Garden. 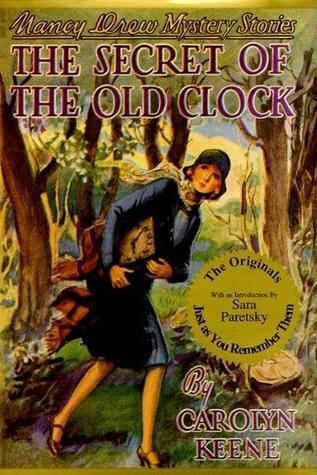 I loved it more as an adult than I did when I was young, and when I was 20 reading it for a Children's Lit class. Yes!!! A Wrinkle in Time is on my list as well. Love that book so much! I thought about the BabySitters' Club too. I read way too many of those books...never could get into Sweet Valley High though. I loved Judy Blume books. Now I didn't read Catcher in the Rye until I was an adult (last year actually), but I did not get it. I thought it was overrated. Maybe I would have liked it as a teen, but as an adult I just don't get the hype. I read Bell Jar senior year, too, and it had the complete opposite response in me. It almost killed me. It sent me into a long despairing depression. Funny that it had the completely different reaction from you. Ha - you listed all the stuff I read when I was growing up - Nancy Drew, Babysitters Club, Sweet Valley High! Only, I'm not sure I care about revisiting them now. I read The Crucible in high school too, much earlier than you I'm sure. Of course, it has been around for a long, long time. I loved it then and would actually love to reread it now. Nancy Drew - such memories. I could not get enough them. My list was focused on my teen years when I was a reading machine - mostly. The Babysitter's Club, Nancy Drew and the Boxcar Children! How could I possibly forget them! Thanks so much for sharing this list. 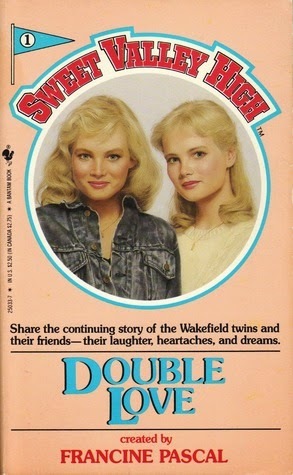 I was addicted to Sweet Valley High when I was in my teens! 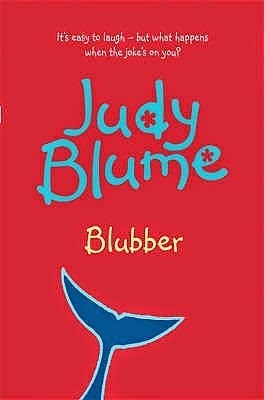 Loved Blubber-my favourite of the Judy Blume books. Both of these are in my top ten this week. Oh my gosh, I had forgotten about The Boxcar Children! What sweet memories that brings. I used to read Judy Blume books to my students when I taught 4th grade. :) This is such a great list. I was a Trixie Belden mysteries fan, and my aunt use to read me her old books of The Bobbsey Twins. I love this walk down memory lane. HOW COULD I FORGET A WRINKLE IN TIME! Man I loved that series! I don't know how I could have forgotten The Baby Sitters Club and Sweet Valley High! Oh the memories are coming back. Miss those days! Ahh I can't believe I forgot Sweet Valley High and The Boxcar Children!! I didn't read too many of each but I remember the Sweet Valley High one where they go to France and think their host mother is trying to kill them...fun times! Some favorites on this list... And happy to see I wasn't the only one reading The Babysitters Club well later than I "should" be! Great list. I’ve read a lot of these. 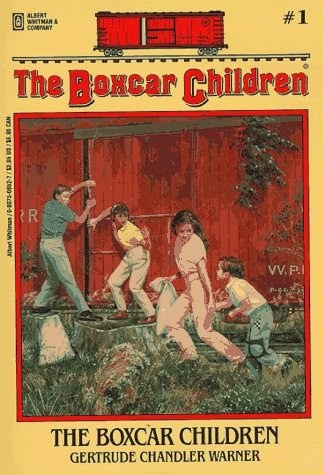 I loved The Boxcar Children when I was a kid. I read that book so many times, but I hated the rest of the books in the series. They just weren’t as good as the first one. I always wished that I had read more Nancy Drew way back when. I probably will do so one summer... xD Great list!!! I can't BELIEVE that I forgot the classic Babysitter's Club and Sweet Valley books on my list! I guess it's because I was working off my "childhood favourites" shelf on Goodreads, and didn't include those series in my read books -- otherwise the number of books I've read would skyrocket! I loved both of those series so, so much and remember coming home from the library with 20 or so installments, then heading back to the library two days later because I'd read them all! This list is great! Brings back memories that's for sure! Haha! I loved many of the same series as listed. I read tons of Babysitter's Club, Boxcar Children, Sweet Valley High (so embarrassing! ), American Girl books, Little House on the Prairie books and for non-series I remember I loved Caddie Woodlawn, Number the Stars and Night of the Twisters. A Wrinkle in Time, The Baby-Sitters Club and Sweet Valley High made my list, too. I forgot about Blubber! Great list! I've always wanted to read A Wrinkle In Time... I bought a copy last fall and am planning to read it for the 2015 Banned Book Reading Challenge this year!! I loved reading The Catcher in the Rye for an English class. omg i totally forgot about The Babysitter's Club when i wrote my TTT for this week! great picks! So many of these on my list too - BSC and SVH = die hard fan forever! I remember reading the Boxcar Children when our guys were little. Re: The Crucible: It was the book! I did not have an awesome English teacher that year and I loved the book! I also read some Boxcar Children and Babysitter's Club back in the day! Sweet Valley High also made an appearance on my list, and The Babysitters' Club would have too if I'd had space. Loved this challenge, although now I desperately want to re-read all my childhood favourites! Nancy Drew and the Boxcar Children made my list too. I collect both series. Yes to A Wrinkle in Time - it made my list also! Apart from Sammy Keyes and the Crucible, I have read and enjoyed all of these featured. Thank you for the trip down memory lane. You can sometimes tell someone's age by the list. About half of these books weren't published when I was a kid, but I did read Sammy Keyes as a teacher. I have always wanted to read The Bell Jar and just haven't gotten to it!Lisa and I also had Sweet Valley High and BabySitters Club on our lists :) We can't believe how much more is out there for YA readers now! !